Is This What Your Retail Store Cleaning Checklist Looks Like? Is This What Your Retail Store Cleaning Checklist Looks Like? Every detail of your store reveals something to your customers. From the merchandise displays to the lighting to the decor, everything should come together to create an atmosphere that fits the store’s brand and invites shoppers in. But none of that really matters if your store isn’t clean! 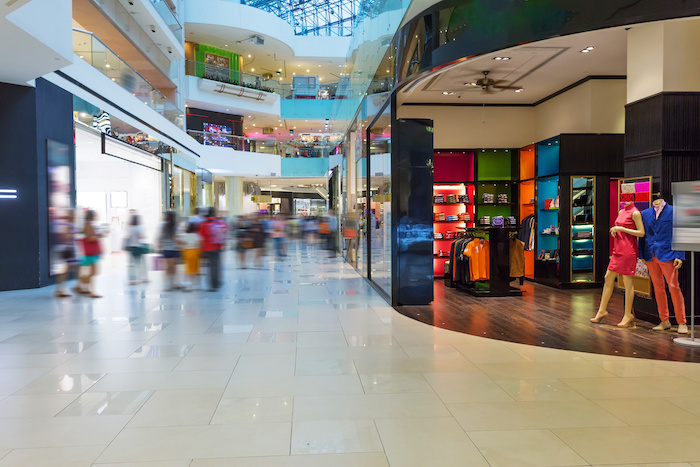 No matter what your store sells, the foundation of your store’s positive image is cleanliness. If your store doesn’t undergo a daily cleaning routine, it’s time to consider implementing one. Not only will guests start to notice the grime, but you’re also inviting germs and odors to your space. The last thing you want to get is a health code violation. If you struggle to keep your store clean, using a comprehensive and detailed retail store cleaning checklist will get you on track. Does your store cleaning checklist work for you? Maybe you already have a retail store cleaning checklist. But are staff members following it? Does it make sense for your store? Does it cover every area and include every task? Ultimately, does it help you quickly and efficiently clean your store every day? If the answer is no, it’s time to revamp your store cleaning checklist or create a new one from scratch. As you create your cleaning checklist, you can start with these areas and add any others that exist in your store. This should ensure that all parts of the store are covered when you begin listing individual tasks. It also helps you divide up the cleaning duties among staff by assigning them duties according to area. Different kinds of stores might require different kinds of tasks. For instance, the type of cleaning required in a grocery store will differ from pet store cleaning and auto dealership cleaning. Your store cleaning checklist should reflect the kinds of messes, trash, and soil your store creates and attracts. Stores have different types of features, as well. Think VCT tile vs concrete or large storefront windows vs. small or no windows. These differences will also affect the cleaning tasks you put on your checklist. As you rework the cleaning checklist for your store, there are many examples to look at online. You can use any of these as the foundation for your store’s checklist and add missing items or remove irrelevant tasks to make a tailor-made checklist for your store. We’ve created a great retail store cleaning checklist to help you start your own. Clean exterior planters, benches, trash cans, etc. A checklist can only tell you what to do— it can’t do the cleaning for you. Most stores can handle the daily cleaning tasks with the staff they have on hand, but some stores might be too big or suffer from too much grime for employees to do it alone. Even if the daily tasks are manageable, you’ll periodically need the kind of deep cleaning only professionals can do. Paying for retail store cleaning services will give your store a great foundation of cleanliness that your staff can build on with the daily tasks from your store cleaning checklist. When it’s time to get some help cleaning your store, you want experts who have the knowledge and experience to tackle any retail cleaning job. You want All Building Cleaning Corp. We believe in giving our customers high-quality, fast cleaning services that will make your store look great and let you focus less on dirt and more on your customers and sales. If it’s time to invest in retail store cleaning services, give us a call and we’d be happy to give you more information and a free quote.